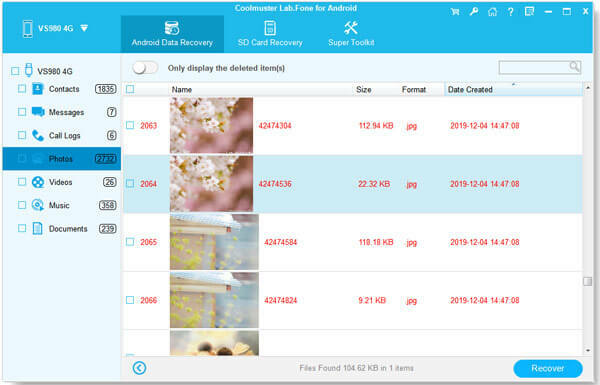 How to Recover Photos from ZenFone Phones? Home > Resources > Others > How to Recover Photos from ZenFone Phones? Many ASUs ZenFone users forget to do a backup of the phone data before they update ZenFone. That's why they feel depressed when the photos are lost from the phone. It seems that these images are gone forever, but I want to tell you that they are actually temporarily removed and still can be recovered back. We just suggest you stop using the phone in case of data overwriting, Then, turn to ZenFone photos recovery tool for help. 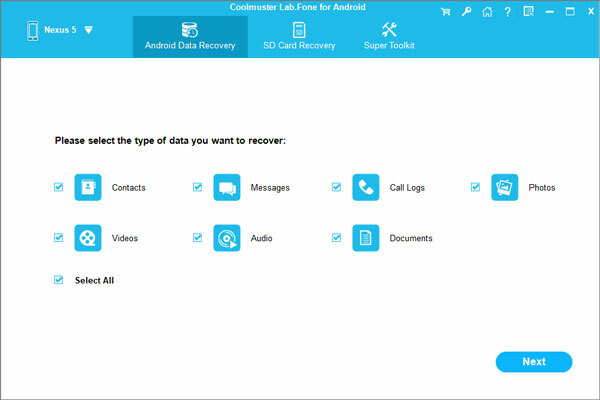 Coolmuster Android Data Recovery is your best choice to solve the photos recovery problem for your ZenFone phones. It is able to scan and retrieve deleted photos, images and pictures, as well as videos, music, apps, contacts, SMS messages, call history, etc. from your ZenFone by following the path "connect - scan - recover". The program is fully compatible with ASUs ZenFone, ASUs ZenFone 2, ZenFone 5, ZenFone 6 and so on. Download the ZenFone photos recovery program - Android Data Recovery for free and start recovering photos from ZenFone phones now. To begin with, install and launch the Android data recovery program on your computer. Then, you can connect your ZenFone phone to the computer using a USB cable. Now, all recoverable file types are displayed on the left side of the program screen. You can tick "Photos" only if you just need to recover deleted photos. Then, photos scanning on your ZenFone phone will begin. When scanning is finished, you can preview the scanned out photos one by one according to their names, sizes and formats. Check the ones you want back and click the "Recover" button. The selected photos will be stored in your computer at once.